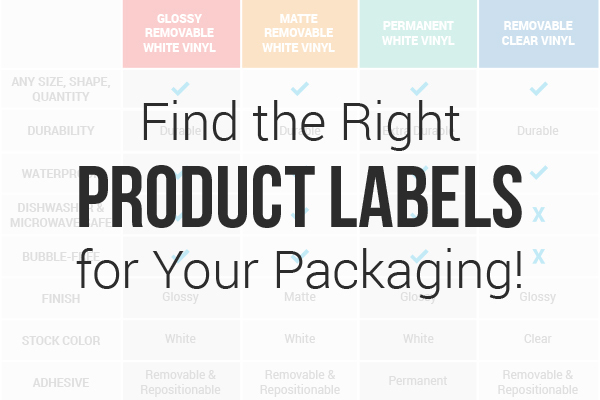 Find the Right Product Labels for Your Packaging! Repositionable labels means the labels can be peeled up and repositioned if necessary. This is only possible immediately after the label has first been applied and can only be done once or twice before the adhesive wears out. 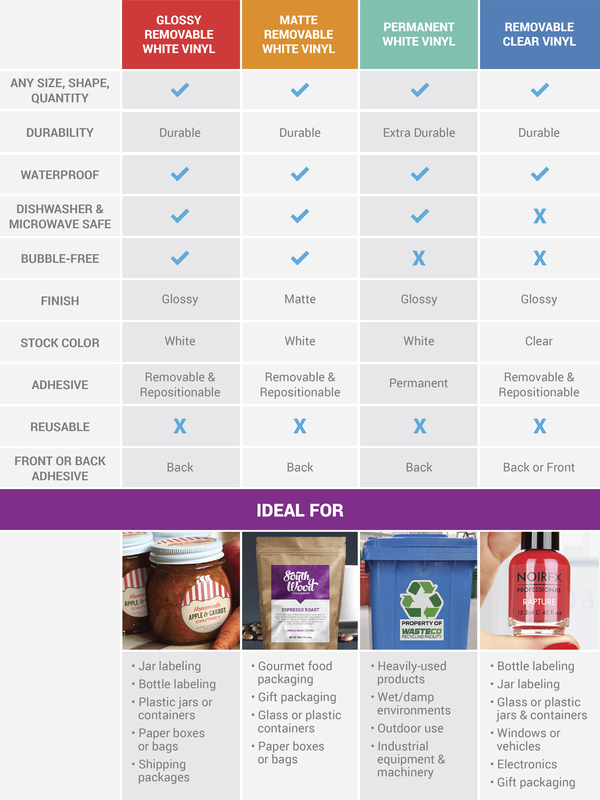 Reusable means labels can be peeled up and re-applied multiple times on different surfaces. Once you have designed the perfect label in our Label Editor, click the blue Done Editing button. 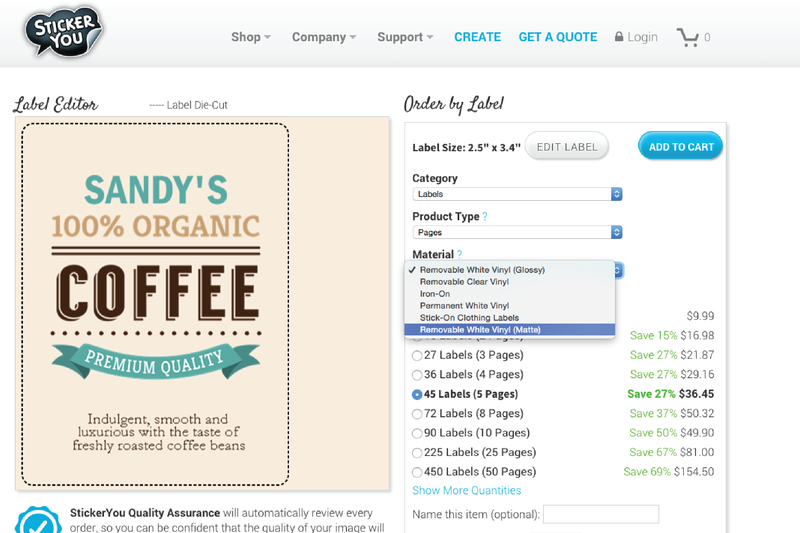 Now you can select your label material! Note: Most of our labels are printed in pages. If you would prefer your labels be printed on rolls, or need to order more than 250 labels, check out our roll labels. Still unsure which of our materials will work for you? Read more about our other great materials and StickerYou product quality or request a free sample pack to try before you buy!